Google has filed for a patent on a way to help those who are lost, find their current location. By snapping a picture of a local landmark, the person who is lost sends the photo to Google where the Mountain View based firm's servers go through the snapshot seeking a match. If a match can be made, the lost person's position is sent to his mobile device. With GPS, the whole process might seem a little redundant, but there are times when the GPS on your phone or tablet just doesn't work or the information isn't accurate for one reason or another. Besides, we really can't imagine anything being as simple as snapping a picture. And the diagram from the patent application makes so much common sense that it is hard to imagine that a patent attorney was involved in the filing. In the example on the filing, we see a rather odd-looking drawing of a man who is lost. ; So he snaps a picture of a tall building nearby and uploads it to Google's servers where the image is matched up against a repository of images and textual content. A match is made and the building is identified as the Dain Rauscher Plaza. The lost man is sent his address and directions as well as a listing of nearby restaurants and attractions. The diagram also shows another use for the technology. In this case, someone is at home and is planning a trip to Minnesota. So she takes an online photo of the Dain Rauscher Plaza and by running it through Google's servers, she receives flight information to Minnesota, possible sightseeing tours and what the history books say about the region. The application, for patent number 8,131,118, was originally filed in January 2008 and the inventors of record on the paperwork are Yushi Jing and Jian Yuan, both of Mountain View. Google is just protecting us from other companies that might apply for that patent as well. Google never sued anyone for patent infringement, they only use their patent portfolio for defense. it really sounded creepy from the title until i read it. lol. like.. uuuhh?? But yea, thats actually a nifty idea. Thats not a new file, since even in the article it was filed in 2008, so why is it news now? Besides, that functionality is all but in G-Maps anyways, since u can turn on the real live photos, 3d GPS, and google earth functionality in the device. This is pretty cool but Im honestly tired of hearing about these patents. A patent free world is a happy world. Sure, copy cats are no good but innovation for the better shouldn't be rewarded with penalty. With all these patents flying around, it just makes the world that much slower in evolving. Half of the patents aren't even used! Im against forgery but how are patents (that aren't even being used) going to help society. 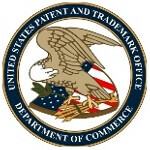 Lets get passed this patent war and just innovate and make the world better. First, I assume you mean "...get past this patent war...". Second, without intellectual property laws, which encompass patents, no one would spend the R&D money to develop new products or ideas. If they did, someone else, anyone else, could take the idea and sell it. How would you like to spend a couple years of your life working on a design for a better mousetrap, and the moment you succeed, another company with more cash floods the market with a copy of your product. You're screwed. So I think the world is considerably better off with enforceable intellectual property laws. If Google doesn't patent it, Apple or some other patent troll will. At least when Google patents it, you can be sure of 2 things: 1) Google is currently already working on it, it won't remain just an idea like most of Apple's patents. 2) Google won't use it for offence like Apple, and will only use for defense to prevent patent trolls from misusing it. This is just an expansion to Google Goggles. I think its a great idea that Google is starting to patent some of their own ideas. 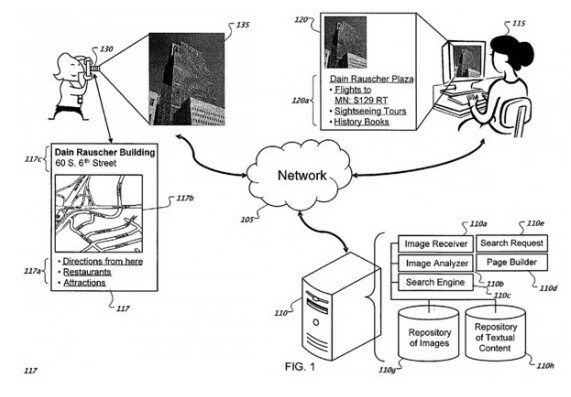 Google Goggles already works pretty well, and I would say is the basis for this Patent.